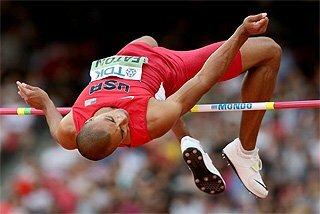 Our 2018 review series continues with statisticians A Lennart Julin and Mirko Jalava looking back at the hurdles and steeplechase. Sergey Shubenkov was the clear number one hurdler during the 2018 season. The 28-year-old authorised neutral athlete, who raced to the 2015 world title, did not compete indoors, but following losses in his two first starts in May, produced a strong season recording the world’s seven fastest wind legal times. The only real dent in his season was a narrow loss at the European Championships in Berlin to Frenchman Pascal Martinot-Lagarde where both clocked 13.17. His season included four sub-13 second results, including a 12.92 personal best in Székesfehérvár in July. 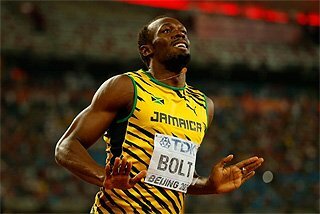 He also won the IAAF Diamond League title. Cuban-born Orlando Ortega, who acquired Spanish citizenship in September 2015, was the second fastest this season with a 13.08 win in Birmingham. 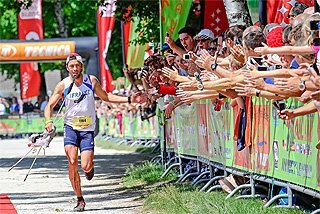 He also took bronze at the European Championships. Briton Andy Pozzi won the 60m hurdles at the World Indoor Championships in Birmingham in March, but couldn’t match that performance outdoors and finished in sixth place in Berlin. 25-year-old Jamaican Ronald Levy was the third fastest athlete in 2018, running 13.12 at the Continental Cup in Ostrava in September, where he finished second behind Shubenkov’s 13.03. The fastest American in 2018 was Grant Holloway with 13.15. This is the slowest US leader in 28 years, matching Greg Foster’s 13.15 in 1990. What a year it was in the men’s 400m hurdles. For the first time in 26 years, since Kevin Young’s 46.78 world record performance that propelled him to the 1992 Olympic title, a serious threat to that record emerged when Qatari Abderrahmane Samba became just the second athlete to dip under 47 seconds. But the depth behind him was at a very different level too. In 2017 there was only one sub-48 second performance, with British Virgin Islands athlete Kyron McMaster running 47.80. But in 2018 that total was 19. This was the second best ever after 1995 with 21. At the very top this season was easily the best. Previously there has been a total of three races under 47.5 in one season. In 2018 there were six. Samba was the top name and he set one record after another. Nine starts and nine wins for a perfect 2018 season with his opening race of 47.90 his slowest. Entering the season his lifetime best was 48.31 from 2017. Samba won in 47.57 in Doha, an Asian record 47.48 in Rome, 47.60 in Oslo another Asian record 47.41 in Stockholm which he shattered with his 46.98 in Paris. The Qatari was not alone at all at the top though. Antiguan Rai Benjamin --who has since been cleared to compete for the USA-- dropped a huge bomb at the NCAA Championships winning in 47.02, equal third on the all-time lists at the end of the season, tying two-time Olympic champion and former world record holder Edwin Moses. The 21-year-old had run 48.33 before this season and had bettered that with a 47.98 at the NCAA West qualifying meet two weeks before his big race. Benjamin also ran a 19.99 200m personal best in 2018. 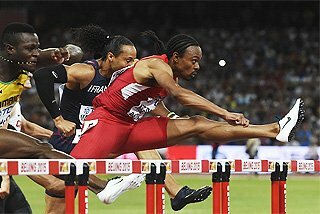 McMaster, who ran a 47.54 national record behind Samba in Paris, was crowned Diamond League champion. Another notable name is 22-year-old Norwegian Karsten Warholm, the 2017 world champion, who won the European title in 47.64, one of his five sub-48 races this season. The men’s steeplechase season was a bit unusual, because the clear number one runner during the season, reigning world and Olympic champion Conseslus Kipruto, was only the fifth fastest on the world list. 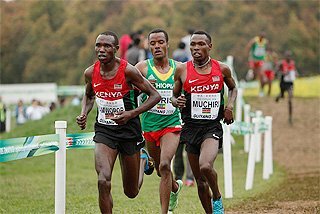 The 23-year-old Kenyan only lost three times in his ten starts. He won the Commonwealth title with an early season world lead of 8:10.08 in April and followed a runner-up finish in Eugene with a win in Rome with a season’s best 8:08.40. Kipruto later won the African title, the Birmingham Diamond League and the Diamond League final in Zürich. His Kenyan compatriot Benjamin Kigen was faster, clocking an 8:06.19 personal best in Rabat, and won in Eugene as well. The previous African champion from 2016, Ethiopian Chala Beyo, was also faster with a 8:07.27 personal best in Rabat. Easily the fastest race of the season was Monaco, where Kipruto was third in 8:09.78 in a race won by Soufiane El Bakkali. The 22-year-old Moroccan ran a fast 8:04.83 in Brussels last year, but had only clocked 8:09.58 in Rabat a week before Monaco, where he won in 7:58.15, a world lead and personal best as he became the 12th man to break eight minutes. Evan Jager of the US came close to the same feat, but missed his own national record (8:00.45 from 2015) with an 8:01.02 run, the second fastest time of the year. This has been ”US property” in recent years; in 2016 runners from the country even occupied positions 1-7 on the world list. 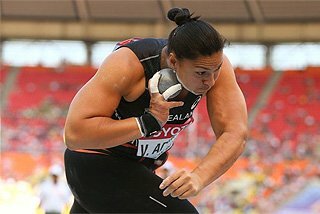 Although they were not as overwhelming in 2018, the hypothetical ”US vs rest of the world dual” in the Diamond League series ended 7-0 for wins, 5-2 for second places and 4-3 for third place showings. 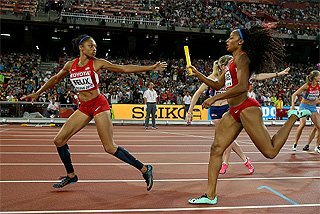 Leading the US was world record holder Kendra Harrison and Olympic champion Brianna McNeal who, combined, won just about everything that mattered: McNeal four Diamond Leagues, Harrison two Diamond Leagues plus the US and NACAC titles. They only conceded two major events: McNeal the Rome Diamond League to Sharika Nelvis and Harrison the Continental Cup to Jamaica’s Danielle Williams, the 2015 surprise world champion. Nelvis and Williams made up the next tier both running consistently around 12.50/12.60 and recording four podium finishes in the Diamond League. In Europe traditional powers France and the UK had off years (only one sub-13-runner each) so the fight for the area medals became a Germany vs Belarus affair: Cindy Roleder and Pamela Dutkiewicz vs Alina Talay and Elvira Herman. Talay was the favourite on the strength of her early summer 12.41. Although she was DQ’d in the European Championships final Belarus still came out on top as Herman, the World U20 champion two years ago, smoothly ran away from her much more experienced opponents. Another name for the future is Puerto Rico’s Jasmin Camacho-Quinn. 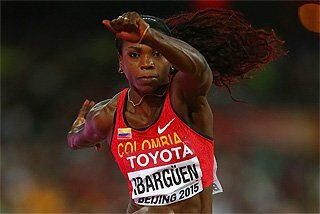 With her 12.40 PB, the training partner of Harrison was actually third fastest in the world. The powerful Camacho-Quinn went undefeated on the US collegiate scene but then an injury kept her out of the international summer season. But watch out in 2019 when two-time world and 2012 Olympic champion Sally Pearson also plans to be back in contention after missing this year with injury. The event was introduced in the late 1970s and already in 1986 the world record had been brought down into the 52s. The general assumption then was that a 51-something performance wasn’t far away. However, more than thirty years later we are still waiting for it. Even sub-53 times have remained somewhat elusive: only 20 athletes have dipped under the barrier and just half of them more than once. But now it looks that there has come along an athlete with potential to re-write the record books and maybe even approach that so far elusive sub-52 territory: Sydney McLaughlin of the US, who at 16 competed in the 2016 Olympics after setting a world U20 record of 54.15. In 2017 she lowered that record to 53.82 but the real stunner came on 13 May this year in Knoxville when McLaughlin, now 18, won by almost three-and-a-half seconds in 52.75, a performance just 0.41 off of the world record. 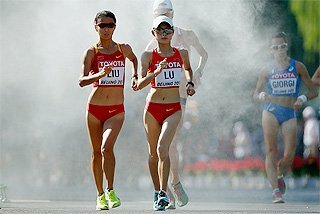 In an instant, the teen prodigy transformed herself into the world leader, and it wasn’t even a perfect race technically as she had to chop her stride a couple of times. Concluding her collegiate season by winning the NCAA title by almost two seconds McLaughlin – with the potential to become the first female ”smooth 15-stepper” – wrapped up her 2018 campaign. But the world of 400m hurdling should beware because from 2019 onwards she will be on the global stage. Judging from 2018 her main opposition will come from the tightly matched trio of Shamier Little, Dalilah Muhammad and Janieve Russell. They all had between four and six sub-54 performances and together they captured six Diamond League victories and seven runner-up finishes. Head-to-head it goes around in circles: Muhammad 3-2 vs Little, Little 4-2 vs Russell and Russell 6-2 vs Muhammad. Usually this event has found itself in the shadow of the flat distance races but this year the steeplechase produced the outstanding distance performance: Beatrice Chepkoech’s 8:44.32 at the Monaco Diamond League, a performance that shattered the world record by more than eight seconds. Of course the record as such is a historic performance but it could also be seen as the culmination of a ”silent explosion” that the event has gone through in just the last three years. 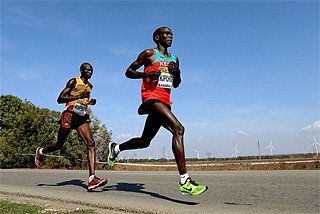 As of 1 January 2016 there had been two sub-9:05s by one athlete and 20 sub-9:10s by ten athletes. The current numbers are 34 sub-9:05s by eight athletes and 80 (yes, quadrupled) sub-9:10s by 19 athletes! How could all this have happened in just three years? As technique inventions or improved implements could be ruled out the only remaining explanation is that mental barriers are being broken. 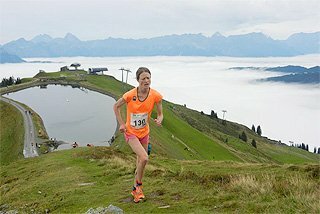 Even established top runners came to realise that going out at 9:00-9:05 pace actually wasn’t as suicidal as they (sub-consciously?) previously believed. Two examples: Emma Coburn has improved from 9:15:59 pre-2016 to 9:02.58 and Hyvin Kiyeng from 9:10.15 to 9:00.01. Chepkoech came fairly late to the steeplechase – at age 25 in 2016 – but almost immediately found a much-better-than-average technique over the barriers which was smoothly integrated into her running style. 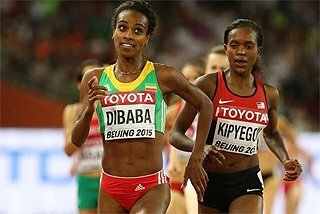 That was probably the key to her success as she combined the fluency in movement with worldclass flat running ability as demonstrated by PBs of 4:02, 8:28 and 14:39. So despite the general revolution the event has gone through recently Chepkoech’s 8:44.32 is something really very special in itself. Remember that she has a cushion of no less than 15 seconds to the No. 2 on the 2018 World list.